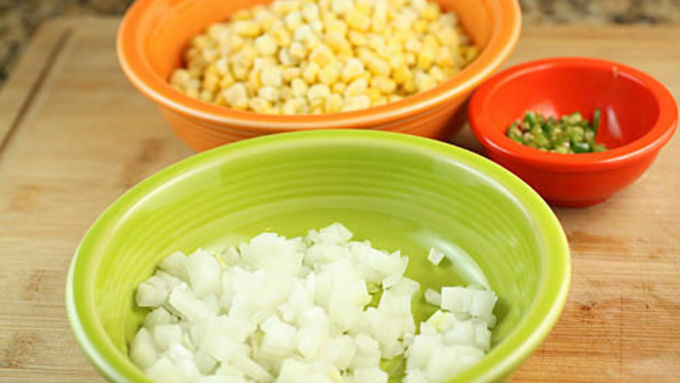 Mince your onion and pepper and cut your corn off the cob if using fresh corn. Add butter to a large skillet and cook over medium-high heat. Once hot, add onions, pepper, and corn. Cook for 4-5 minutes until onions are soft. Add a pinch of salt, sugar, and nutmeg. Then add cream and cook for another 2 minutes until cream starts to thicken. Pour mixture into a large bowl and add milk. Let cool for five minutes. Add egg to bowl and mix in well. Then add baking powder and flour. The batter should be very thick, but scoopable. If it's too runny, add another 1/2 cup of flour. 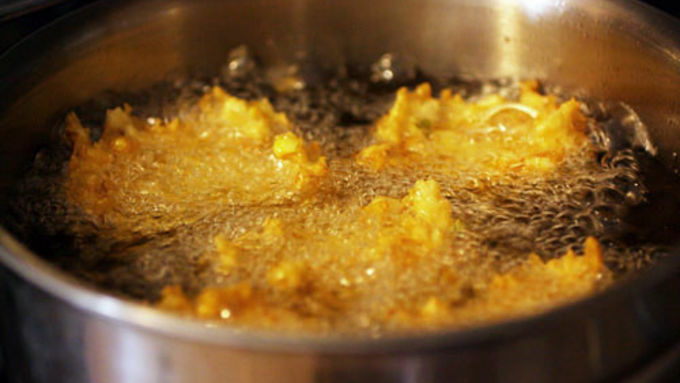 Fry large spoonfuls of batter in oil at 350°F. They will need 4-6 minutes to cook through depending on the size of your fritters. The finished fritters should be golden brown and puffed. Let drain on a paper towel before serving. Serve hot! 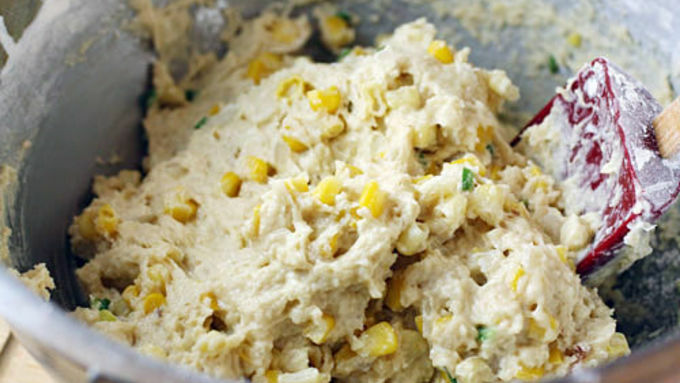 When I was growing up, creamed corn was one of the more common sides at our table. Back then, the only thing I really knew about creamed corn was: It came out of a can. 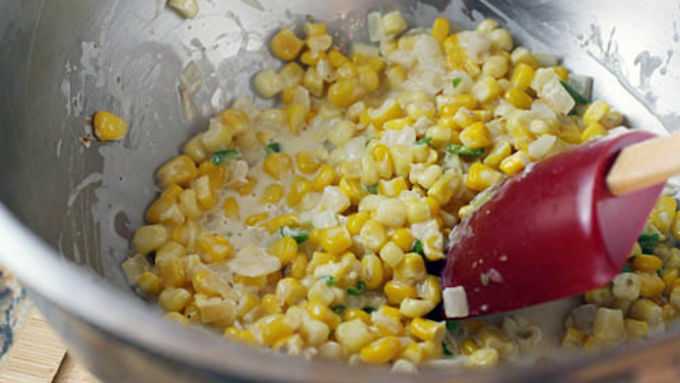 Eventually, I realized that you can make creamed corn at home - which I prefer and doesn’t take very long. But if you're pressed for time, packaged versions work fine too. While you could stop at the creamed corn, I decided to take it to the next level and turn the side dish into an appetizer! 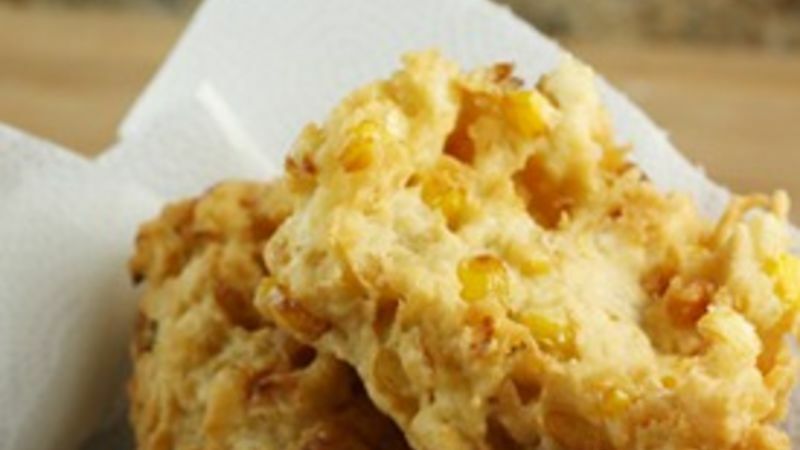 Since creamed corn has a lot of liquid in it already, it's pretty easy to turn it into a batter and fry it up to make some delicious creamed corn fritters! 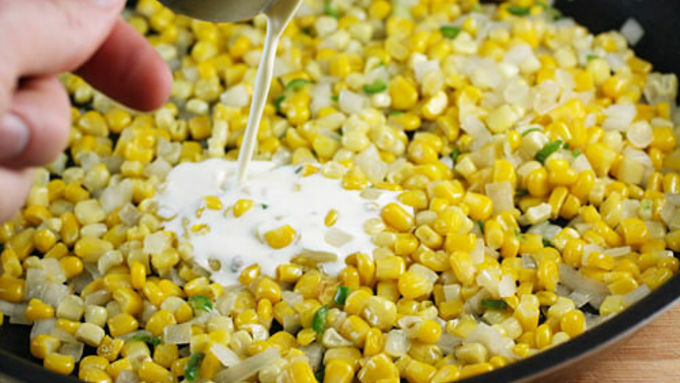 I like to keep my creamed corn very basic, but I've found that it does help the flavor to add some minced onions. And if you like a bit of spice, add a chopped Serrano pepper. Just be sure to dice stuff pretty finely. 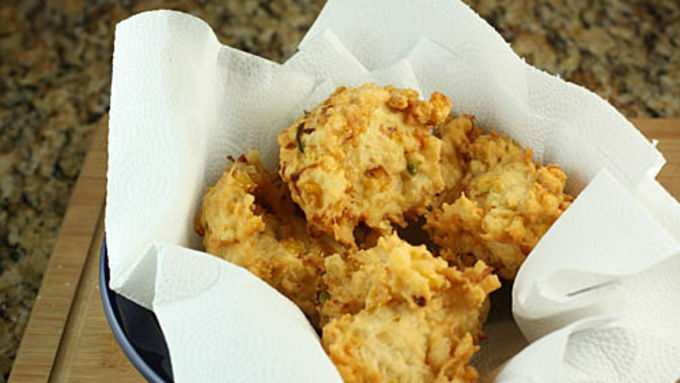 After frying, let them drain on a paper towel for a minute or two and then serve them right away! They are best when they are still a bit warm. These have a fantastic flavor and texture. The inside of the fritters is nice and soft, and it turns kind of crispy where the pieces of corn are on the outside. If you wanted, you could serve this with a ranch dressing or something, but I thought they were pretty good with no dressing at all!